Even if you have a no-shoe policy in your house, there will be times when you need to dash inside with your shoes on for one last thing, or times when a repair person needs to wear work boots indoors. For these situations — and for shoe-on houses — doormats are essential. 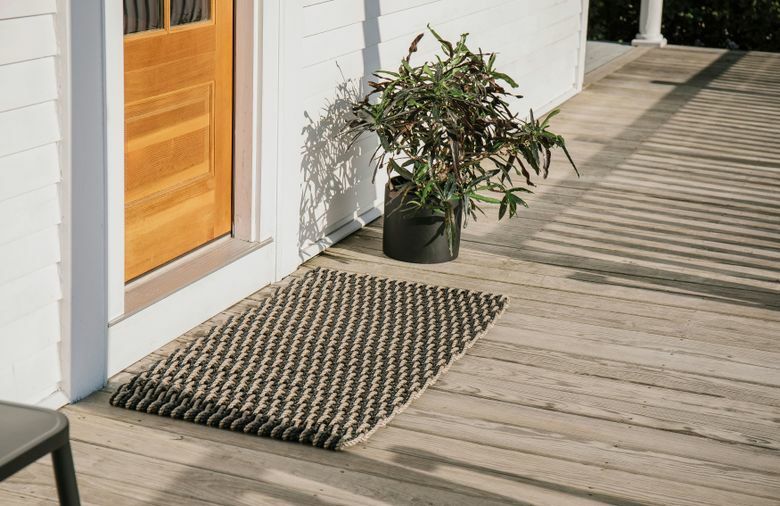 “With a good brush and stomp, doormats can prevent debris, wet snow and dripping rainwater from entering your home,” says Lindsey Handel, a buyer for the garden and home store Terrain in Pennsylvania. “It’s nice to have a softer and thinner rug inside and a more bristly, durable one outside,” says Joy Cho, of California design studio Oh Joy. We dug up more dirt on doormats to deliver you five options chosen by experts. Welcome home to a cleaner house. For interior entryways, she recently designed some washable interior entry rugs for Lorena Canals. For exterior doors, she likes vinyl Chilewich mats, which are mold-, mildew- and chlorine-resistant, with a water-blocking, slip-resistant vinyl backing. 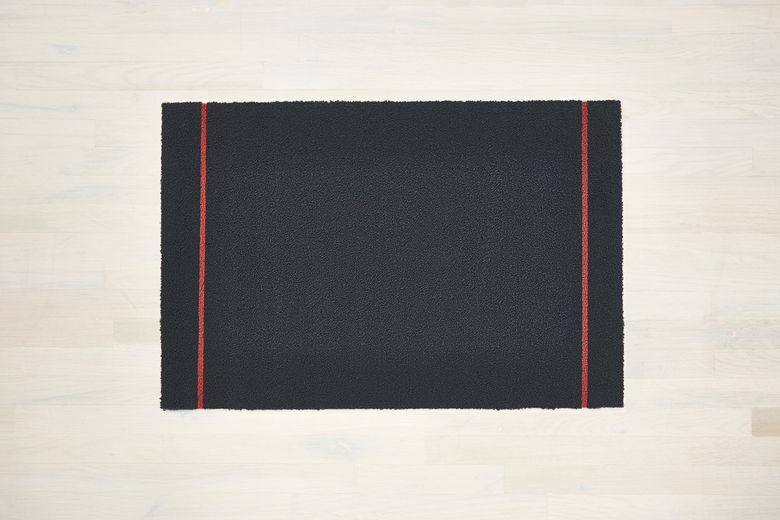 The company’s latest design, Simple Stripe ($52 at chilewich.com), has a functional stripe made of PVC yarns that scrape away debris. Terrain’s Handel says that in most climates the fiber coir, made from coconut husks, is best for exterior doormats that are exposed to the weather. “The thicker and scratchier the doormat you can find, the better” for scraping off dirt, she says. She prefers a knot-patterned weave doormat for its classic look. 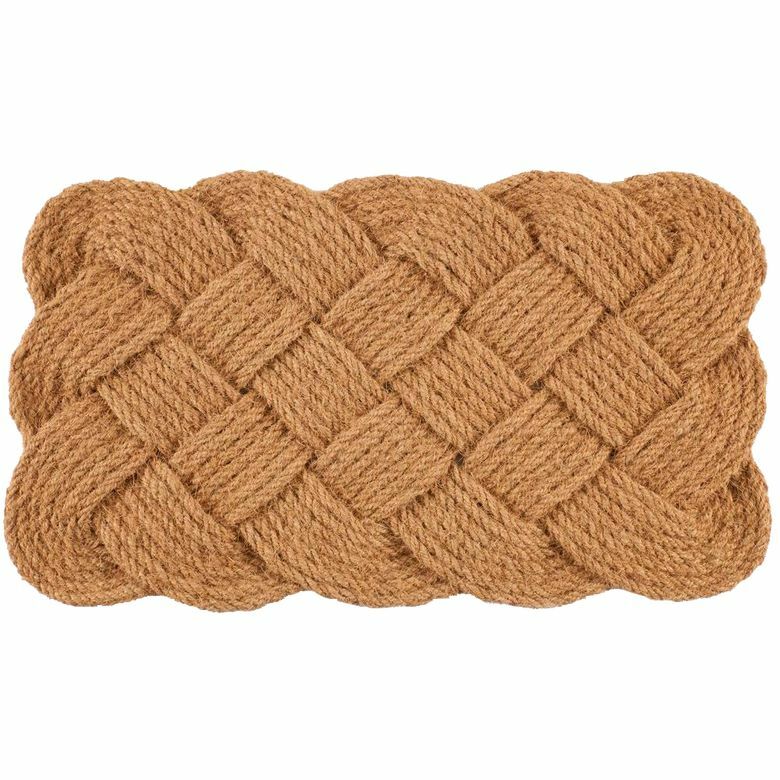 These can be found almost everywhere, including Home Depot, which has the Entryways Knot-Ical Handwoven Coconut Fiber Doormat ($38 at homedepot.com). In the Midwest and Northeast, doormats need to be winterproof. The Chicago-based co-founders of the Everygirl Media Group, Alaina Kaczmarski and Danielle Moss, both use coir doormats to dust off the snow. “The bristles absorb moisture and actually catch the snow as you brush your feet off,” Kaczmarski says. Coir doesn’t always last past a season, but she says it’s worth buying because coir is best at snow removal. 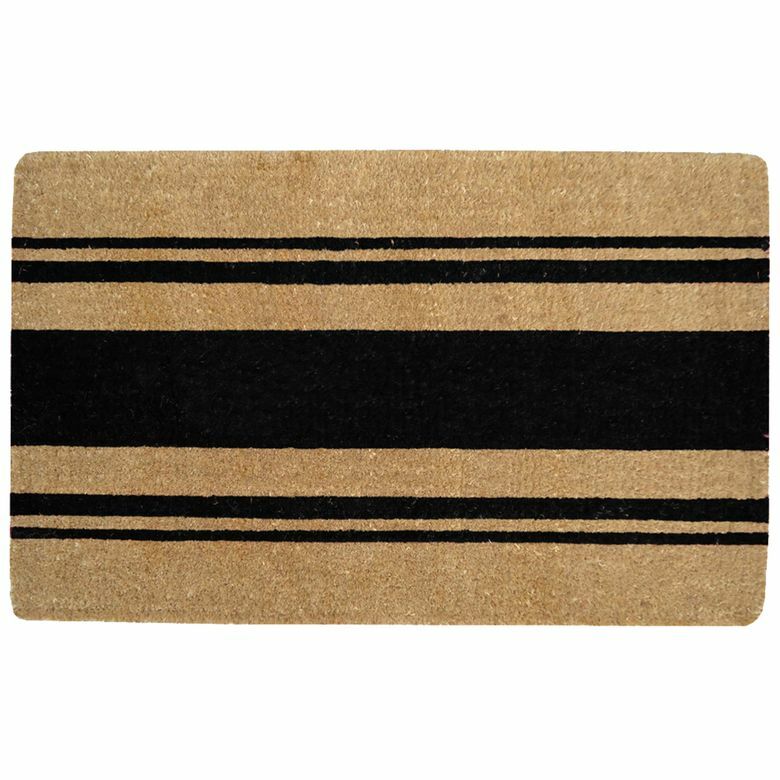 Both Kaczmarski and Moss like coir mats from Williams-Sonoma, such as the French Stripe Doormat ($60 at williams-sonoma.com). “I’ve used rope mats on several projects, usually beach or summer homes,” says Josh Linder, owner of Evolve Residential in Boston. They are “a fun first peek into the interior of the home, but also are incredibly rugged and well wearing,” he says. “Rope, made for the oceans . . . is intended to take a beating.” He likes Rockport Rope’s Mats ($40–$390 at rockportdoormats.com), which come in a variety of sizes.